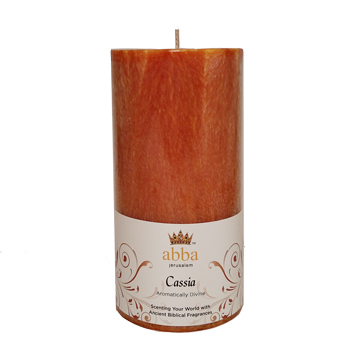 Our hand-poured, palm-wax 3 x 6 pillars produce an exquisite design in each candle and burns cleaner than parafin. The elegant label conveys both the botanical and spiritual information on this highly fragrant biblical tree, complete with scripture verse. Approximate burn time: 80-90 hrs.